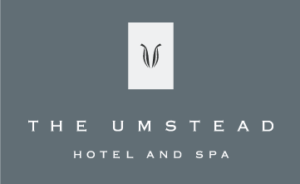 Register to win a spa package for two to The Umstead Spa in Cary! Simply visit our model home at the Estates at Stillwater to register for a chance to win a spa package for two to The Umstead Spa in Cary, courtesy of Stillwater. The model home is open Monday through Saturday from 11am-5pm and 1-5pm on Sunday. We are located at 3108 Curling Creek Drive, Apex, NC 27502. And while you’re here, tour 4 move-in ready homes! Hurry! You must register by Jan. 15, 2018 to qualify! http://stillwaterapex.com/wp-content/uploads/2018/01/Stillwater_Website-BlogPostHeader_Post1.jpg 1000 1501 Shane Poteete http://stillwaterapex.com/wp-content/uploads/2017/08/Stillwater-Apex-Logo_340x156-01.png Shane Poteete2018-01-04 21:44:192018-01-04 21:51:47Register to win a spa package for two to The Umstead Spa in Cary!